When you want to edit the signature should be on the File menu, select Signs. Then on the right side of the window, select the signature to edit by clicking once and select from the menu on the left select Edit sign. In the new window define the Name field description of our signature, so that it can be easily identified on the list. 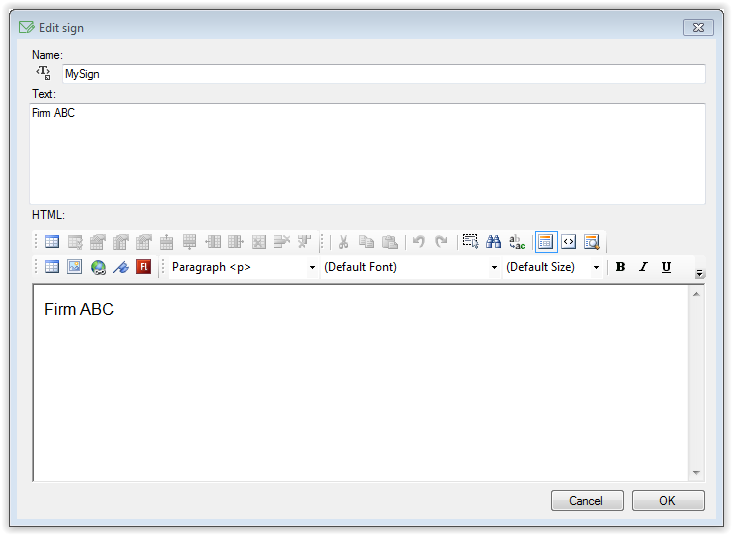 Then, in the Text box we define signature for e-mails in plain text and HTML content in the signature for e-mail in the form of HTML. Click on the OK button.